The Newport Mall located near the Resorts World Casino in Manila offers the gambling and non-gambling patrons boutique shops and restaurants to keep you distracted until the wee hours of the morning, or as a breather if you feel you are out of luck in the casino. Given its more discerning market segment, you can expect a plethora of food varieties here. So one lunch break, the boss was feeling the craving for some Hainanese Chicken Rice. One search around the area and Old Penang is located conveniently in the Newport Mall. It was worth a shot given the rarity of Hainanese Chicken Rice selections in Manila. Old Penang seemed to have just served the Ginger and Chili Sauce. But the sweet soy sauce can be requested. 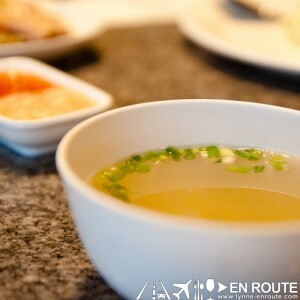 Will research if some provinces really serve such variations originally without the sauce. The Hainanese Chicken Rice itself was quite tasty and the rice served piping hot. What you can do to get all the flavor is dip the chicken in the ginger sauce, then the chili sauce. Then place it on top of the rice, and take a spoonful of rice with the chicken. 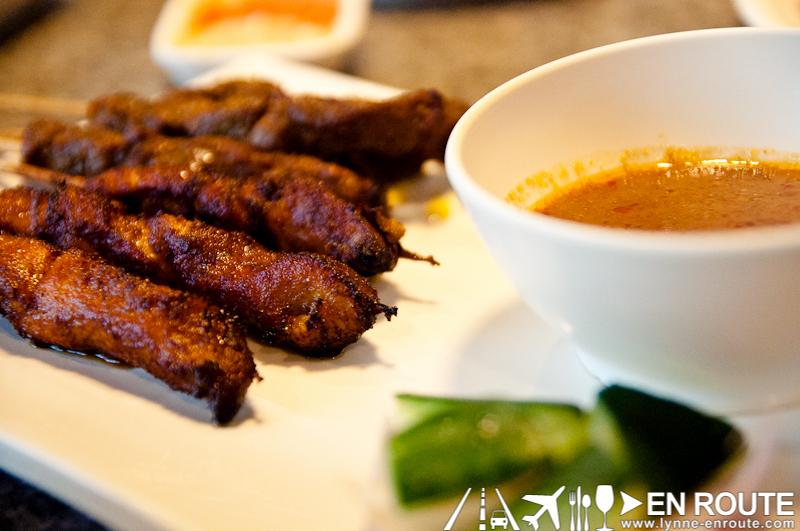 Aside from Hainanese Chicken Rice, Chicken Satay was quite ok. It was served with a spicy curry dip. 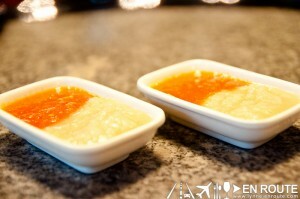 It can sometimes overpower the satay so use it sparingly. 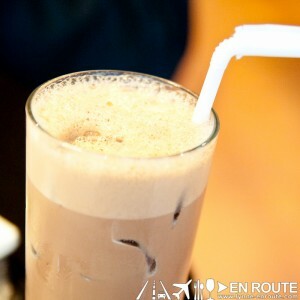 If everything gets too hot, douse it with the Cold Milo drink. It cancells all the spicy flavors and the nostaligic sweet-chocolatey taste is a good finish. Now about the service: For this visit, yes it did seem to take long. It had nothing to do with the wait staff. It seems to just be in the kitchen. It probably is a hit-and-miss but I think it can be corrected. 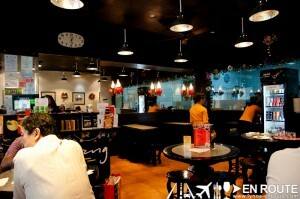 That being said, it still is a good restaurant that complements the other cuisines inside the Newport Mall. 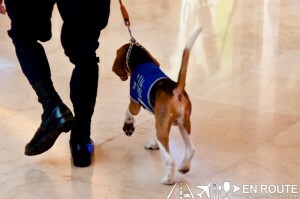 Oh, and the Newport Mall is also patrolled by some of the most adorable hounds in uniforms. Look out for them when you go there 😀 ! Pinoys just love chicken rice meals, noh? Fine, fine, I think I should give it a shot again. Was never really a fan of it. Hehe. 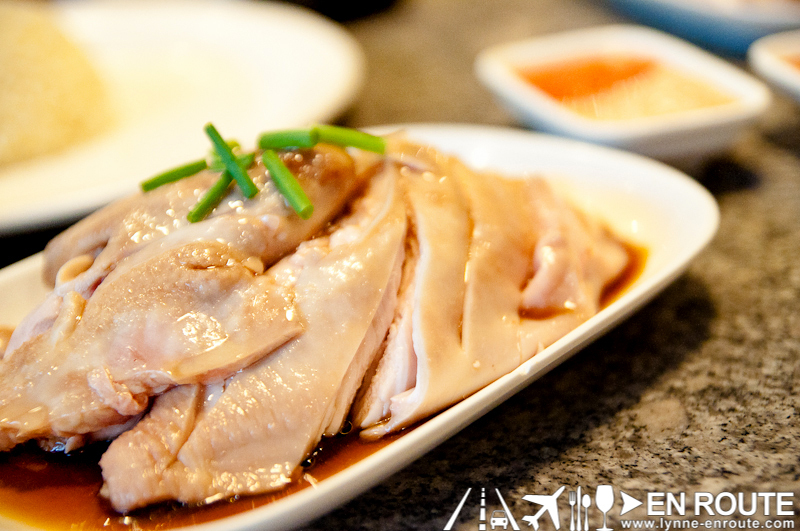 I like eating chicken dishes, but I’ve never really got into Hainanese Chicken rice. It’s good, but I don’t dig it.. D: I don’t know if something’s wrong with me, or I haven’t eaten really good ones yet.